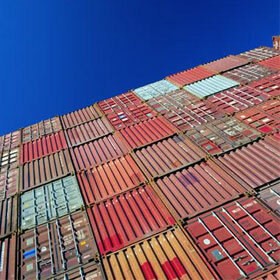 Our main activity is sea freight forwarding of containerized cargoes. Long and fruitful cooperation with biggest liner shipowners like MAERSK, HAPPAG-LLOYD, EVERGREEN or P&O NEDLLOYD let us offer really competitive freight rates for transport this way to practically every corner of the world for FCL and LCL. Arranging this kind of transport we use terminals located in polish ports - Szczecin, Gdynia and Gdansk and as well abroad terminals in Hamburg, Bremerhaven, St. Petersburg or Kaliningrad. We arrange terminal handling operations supplemented with land and railroad forwarding oraz customs clearance what let us offer service of full logistic chain begining from the shipper ending at receiver. Thanks to this we get countable effect in a form of one offer solving logistic problems of our Customers in national and worldwide scale. Trusted partners in Europe and other regions of the world let us optimize transport chain and offer opportunity of acting effectively in new situations over polish borders. Many yeas of experience, work only with entrusted truckers, full insurance and competitive rates - this is our offer for Customers interested in road freight forwarding. 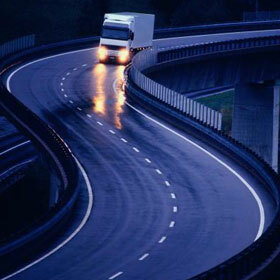 Constant cooperation with reliable transport companies, monitoring of transport means condition, quality of truckers, range and validity of insurance let us ensure our Customers with full safety of transports that we arrange in whole Europe. We operate fleet of trucks of different types and capacacity ranging from 1,5 to 24 tons that can perform transports of standard and special commodities including oversized and overweighted ones. Our offer includes also services of shipping agency of the vessels (mainly bulk carriers and tankers) in charter of our Customers in every port of polish coast. Acting as port agent and protecting agent we providing active and continuous supervision of the vessel and cargo operations. 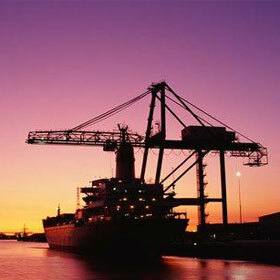 Our deep conversance with various port companies guarantees efficient vessel’s handling and fast despatch. All additional tasks related to vessel's stay at the port like crew changes, repairs, supplies are fulfilled efficiently and proffesionaly. Besides cargo handling, Agency Dept. also specialises in services rendered to vessels under repairs in various shipyards in Gdansk and Gdynia. We arrange and perform railroad shipments in the area of Poland, whole Europe and Commonwealth of Independent States (former Soviet Union) majoring in whole-car shipments. On our Customer's request we constantly monitor transport of the goods and arrange trans-shipments on the joint of different size tracks. Setting up trans-shipments car-truck, truck-car we accomplish "door-door" deliveries. Supplementary to our railroad offer we organize import and export customs clearance on railroad border crossing. 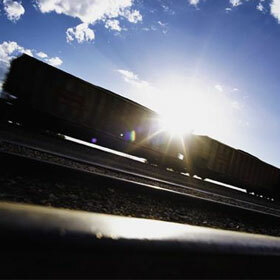 We also offer pomoc essential help and consulting in the scope of railroad transport. We also mediate in organisation of auxiliary services essential in foreign trade and international transport such as: supervision and inspection of the cargo, customs agency, insurance of the cargo. To find the best transport ways for our Customers we also apply multimodal solutions allowing optimize transport chain and also lower its cost.